The Kia Sedona minivan had been on sale for four years in other parts of the world before it was first offered in the United States in 2002. The lowest priced minivan you could buy in this country, Sedona, like all models from Kia provided a wealth of content for the money. 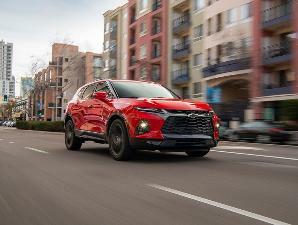 Additionally, the model has consistently boasted a five-star safety rating from the National Highway Traffic Safety Administration (NHTSA), in addition to one of the longest powertrain warranties out there at 10 years or 100,000 miles. For a family on a budget, this often meant the difference between buying a brand new minivan with a warranty, or getting an older one and going repairs alone as the need surfaced. 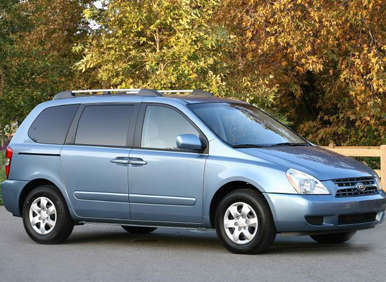 And while early versions of Kia’s Sedona did give up ground in key areas of content to the more expensive models from Chrysler, Ford, Honda, Nissan, and Toyota, (namely side airbags, traction control and foldaway rear seats) it nonetheless represented an outstanding bargain. Thus, the first generation Kia Sedona went on to become the brand’s top selling model the year it debuted in the U.S. Since then, there have been two generations of Kia’s minivan offered to date. A 195-horsepower 3.5-liter V6 engine capable of producing 218 ft-lbs of torque powered the first Sedona minivan sold in the U.S. Its front wheels were driven by a five-speed automatic transmission. With a curb weight of 4,709 pounds, those 195 horses had a lot of wagon to pull and it showed. 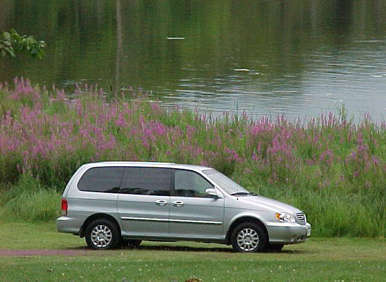 The first gen Sedona was notoriously slow. Offered in two trim levels, LX and EX, the 2002 Kia Sedona LX came standard with fifteen-inch steel wheels wearing all-season tires and wheel covers. 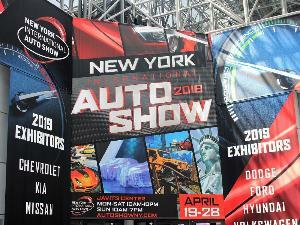 It offered variably intermittent windshield wipers, privacy glass, a rear defogger, opening (swing out) rear quarter windows, and a rear liftgate. 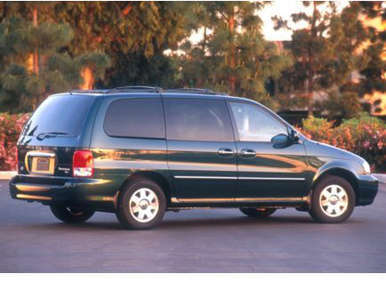 The Kia minivan was capable of towing 3,500 pounds when equipped with a towing kit. Upholstered in cloth, it used bucket seats up front and the driver’s seat was equipped with a manually adjustable lumbar support. The middle seat would fold, as did the third row bench, which split folded 60:40. While those seats would not fold flat into the floor, as did most of the competitor’s, they could be removed. Power door locks, mirrors and one-touch power windows, along with cruise control, a front console with storage, cupholders in all three rows, and front seatback storage provided convenience, as did three 12v electrical outlets. The steering wheel in Sedona LX contained switches for the cruise control system and it would tilt. Air conditioning front and rear, reading lights front and rear, a cargo area light and dual vanity mirrors were also part of the LX trim’s standard feature set. Entertainment came from a six-speaker AM/FM stereo. Opting for the EX model got all of the above, while exchanging a set of fifteen-inch alloy wheels for the steel wheels employed by its more affordable sibling. Additionally, Sedona EX’s outside rear view mirrors were heated. EX-trimmed Sedonas also flaunted a chrome grille, keyless entry, power opening for those rear quarter windows, a roof rack, and power operation for the front two seats. The driver’s side got eight-way adjustability while the passenger’s side made do with four-way. In the Sedona EX seating department, a pair of Captain’s chairs furnished the second row. Simulated wood trim warmed the look of the passenger compartment, as did leather trim for the steering wheel and shift knob. Upping the entertainment quotient was the addition of a single-disc CD player to the LX’s rather plebian audio system. Optional equipment included ABS braking systems for both Sedonas. For the LX models, the EX’s CD stereo and body-color roof rack could be added, along with a rear spoiler. For EX, full leather upholstery, a sunroof, two-tone interior trim, HomeLink, and a rear spoiler comprised the list of options. A set of child seat anchors, ventilated front disc brakes up front, (all first generation Sedonas used drum rear brakes) child safety locks on the rear doors, automatic headlights, pretensioners for the front seatbelts, and electronic brakeforce distribution made up the roster of safety gear. Although it had only been on the market in the U.S. for one year, in the rest of the world the Sedona was a five-year old model and thus was due a mild refreshing. So for 2003, Kia’s product planners reworked the taillights, changed the look of the center console with a new faceplate for the audio system, and added an inside fuel door release. A CD player was granted the LX trim as standard equipment, while keyless remotes were specified for the EX. To up its plush factor a bit more, the EX also got leather trim for the armrests and the lower portion of its seats. Continuing the freshening process started in 2003, Kia replaced the Sedona’s grille with one of a new design and fitted a newly designed alloy wheel to the EX. Not to be outdone, the LX Sedona got new wheel covers for its steel wheels. To improve the model’s convenience factor, Sedona’s planning team placed a center tray table with cupholders in both trims. A DVD-based video entertainment system was offered as an option for both LX and EX trimmed Sedona models. For its final year, the first generation Sedona got Captain’s chairs for the second row and the rear drum brakes were enlarged to improve stopping power. 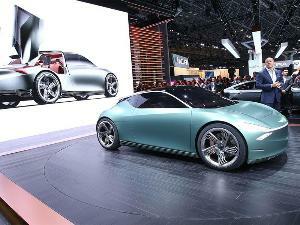 Other than that, with an all-new model slated to debut for 2006, there wasn’t much else to do. Introduced to the U.S. market at the 2005 Chicago Auto Show, the second generation Sedona was simultaneously larger and lighter than the model it replaced. Also boasting independent rear suspension and a more powerful engine, the GEN2 Kia Sedona was a markedly improved product over its predecessor. Still seating seven passengers and running Captain’s chairs in the second row as before, the 2006 Sedona offered a new 60:40 split third row seat capable of folding flat into the floor. The V6 engine’s displacement was upped to 3.8-liters for Sedona Mk. II. From the added capacity, the powerplant produced 242 horsepower and 251 ft-lbs of torque. A five-speed automatic transmission fed motive force to the front wheels. Offered once again in LX and EX trim levels, the 2006 Kia Sedona LX came standard with sixteen-inch steel wheels wearing an all-season tire and plastic wheel covers. The spare tire was mounted underneath the body to improve cargo capacity. Variable intermittent windshield wipers, privacy glass, a rear defogger, swing out rear quarter windows and an intermittent rear wiper covered outward visibility. Meanwhile, manually sliding doors and a manually operated rear liftgate provided accessibility to the rear compartment. The 2006 Kia Sedona LX’s seats were upholstered in cloth, and were comprised of a pair of buckets upfront, the aforementioned Captain’s chairs in the middle row, and the split-back foldaway bench in the third row. The driver’s seat was equipped with a manually adjustable lumbar support. While a keyless remote would trigger the power door locks; the windows and outside mirrors were electrically operated as well. Cruise control, a front console with storage, cupholders in all three rows, and front seatback storage provided convenience—as did three 12v electrical outlets. The steering wheel in the 2006 Sedona LX would tilt and also contained switches for the cruise control system. Dual zone air conditioning front and rear, floor mats front and rear, reading lights front and rear, a cargo area light and dual vanity mirrors were also part of the LX trim’s standard feature set. The audio system featured eight speakers and a single-disc CD player. Going EX bought all of the above, exchanging a set of seventeen-inch alloy wheels for the sixteen-inch steel wheels employed Sedona LX. Additionally, Sedona EX’s outside rear view mirrors were heated. EX-trimmed Sedonas also flaunted power opening for those rear quarter windows, a roof rack, and power operation for the front two seats. The driver’s side got eight-way adjustability, while the passenger’s side made do with four-way adjustability. Simulated wood trim warmed the look of the passenger compartment, as did leather trim for the steering wheel and shift knob. The electrochromic inside rear-view mirror would dim automatically. Upping the entertainment quotient was the addition of CD MP3 playback capability. 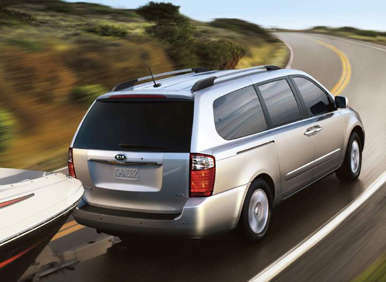 Options included power-sliding doors and a power rear liftgate for the Sedona EX. That trim line also was graced with an optional “Luxury Package”, which would lace it with leather upholstery, an automatic climate control system, seat heaters, adjustable pedals, driver-seat memory, a sunroof, steering wheel audio controls, an electrochromic auto-dimming rearview mirror, and audible rear parking sensors. A DVD-based rear-seat video entertainment system could be had for both LX and EX, but EX buyers could also have a 605-watt, thirteen-speaker 7.1 surround Infinity audio system. Standard safety gear included ABS for all four disc brakes, brake assist, electronic brakeforce distribution, and tire pressure monitoring. The 2006 Kia Sedona also provided curtain airbags covering all three rows, side mounted airbags for the front seats, child seat anchors, an alarm system, fog lights, and automatic headlights with a delayed off feature. Seatbelt pre-tensioners, whiplash protection for the driver and front passenger, stability control, and traction control were also standard equipment. EX models equipped with the Luxury Package also got audible rear parking sensors. Kia brought the short wheelbase version of the Sedona sold previously in Europe and much of the rest of the world to the U.S. for 2007. The short wheelbase version of the Sedona was equipped basically like the LX model, except its third row seat wouldn’t fold flat into the floor. Output of the V6 was increased to 250 horsepower. Power sliding doors were added to the LX options list, making them available for the short wheelbase Sedona as well. Satellite radio and USB input capability were added across the board, while Sedona EX got an optional navigation system. Sedona LX got optional parking sensors and iPod compatibility was added as an option to all three versions of the Kia minivan. Parking sensors became standard equipment; EX got a rear-view camera system as standard equipment (the camera was also available as an option on LX) and, the engine lost six horsepower. 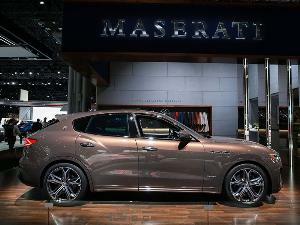 The short wheelbase model was dropped and engine displacement was decreased to 3.5-liters. 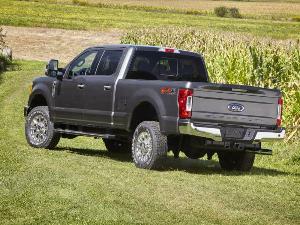 However, power output went up to 271 horsepower and 248 ft-lbs of torque. A six-speed transmission replaced the five-speed used by all previous iterations of the Sedona. Additionally, the model’s equipment list was reshuffled a bit to make the LX a more attractive proposition. For 2011, the Kia minivans were configured as follows; Sedona LX employed sixteen-inch steel wheels, roof rails, keyless entry, full power accessories, rear parking sensors, front and rear air-conditioning, a fold-down table between the front seats, and a removable set of Captain's chairs in the second-row. The back of the fold-flat third-row bench seat split 60:40 and cloth upholstery was employed throughout. Sedona LX’s tilt steering wheel housed audio controls. Cruise control, Bluetooth, a six-speaker CD/MP3 stereo with satellite radio, and a USB/auxiliary audio input jack were all standard fare as well. The EX trim upgraded Sedona to seventeen-inch alloy wheels, a trip computer, a set of foglamps, a pair of heated side view mirrors, a power tailgate, a pair of power operated rear quarter windows, electrically-adjustable front seats, leather covering for steering wheel, and wood grain interior trim. Standard kit for the EX, which was also available as options on the LX, were dual power-sliding doors, chrome exterior trim, an auto-dimming electrochromic rearview mirror, and a rearview camera. A set of sixteen-inch alloy wheels was available to LX buyers as an option as well. There were also bundles packages of options of the 2011 Sedona EX. 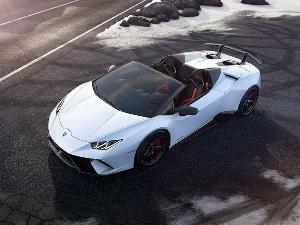 Its “Luxury Package” would outfit the model with a sunroof, leather upholstery throughout, heated front seats, a set of power-adjustable pedals, driver’s-seat memory, and a tri-zone automatic climate control system. Ordering the Luxury Package enabled further upgrading the Sedona with one or the other of the following: the “Premium Entertainment Package” which fitted a rear-seat DVD-based video entertainment system, a 10-speaker Infinity audio system and an in-dash six-disc changer; or the "Navigation Package”; which installed (you guessed it) a navigation system—but substituted an eight-speaker Infinity stereo system. With all of that reshuffling for the 2011 model year, Sedona rolled into 2012 with no significant changes. While it lagged behind its competitors in terms of power and features throughout its lifetime, Sedona’s uber-affordable price tag is difficult to ignore. And, on the secondary market Kia’s models are discounted even more heavily, making a pre-owned Sedona, for a family really needing a minivan, a highly compelling product. As far as reliability is concerned, our MyRide.com rankings find the Sedona consistently above the industry average in terms of both durability and mechanical quality. Plus, the costs of Kia repairs in general are low as well. There have been some recalls, so you’ll want to run an Internet search for those, and a vehicle history report against the VIN is a good idea as well. Before making any purchase decision though, you should make sure you run your choice by the shop of a trusted professional mechanic for a very thorough pre-purchase inspection.